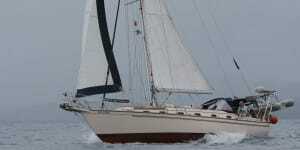 Able to skipper a sailing vessel on extended offshore passages requiring celestial navigation. 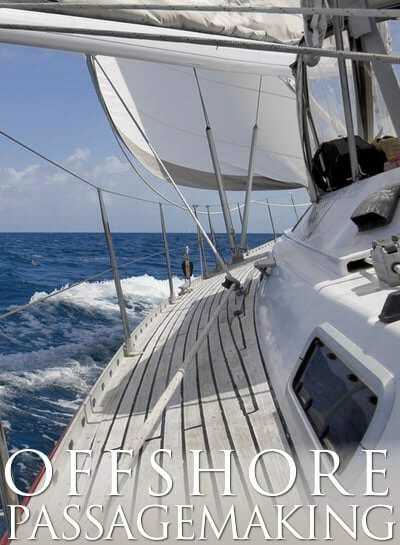 Knowledge of long-term passage planning, offshore vessel selection, sail repair, offshore first aid, watch-keeping, emergency procedures, abandon ship protocols, safety and seamanship. and the ability to demonstrate competencies in all knowledge and skills elements of those Standards. Note: It is possible to fulfill the prerequisites with either ASA 107, Celestial Navigation or the ASA 117, Basic Celestial Endorsement. 1. 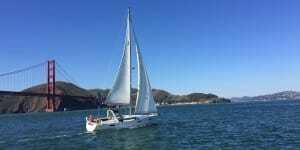 Plan a passage across the North Atlantic or Pacific and state the advantages, disadvantages and hazards of various routes, utilizing Ocean Passages for the World, climatic charts, Great Circle plotting charts, plotting instruments, etc. 2. Plot a series of rhumb lines on a Mercator chart to approximate a great circle route. 5. 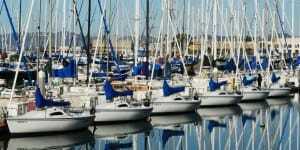 List essential items for minor repairs to vessel, rigging and sails. 6. Describe various items required to prevent chafe. 7. Describe the advantages and disadvantages of three self steering methods/devices. 8. 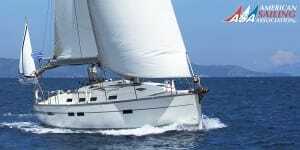 Plan meals for a minimum of four people on a seven day offshore passage. 9. Describe proper methods for preserving/storing food and the expected storage life of different types of food. 11. 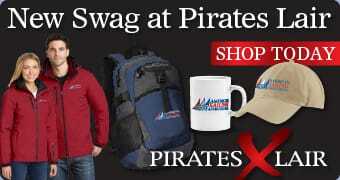 Describe suitable clothing for an offshore voyage. 12. 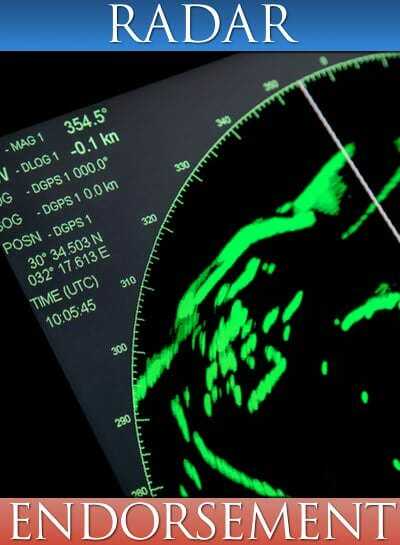 State a source of obtaining advanced first aid information while on an offshore passage. 13. Identify and describe the basic treatment of potential medical problems. 14. Describe methods of preventing injury to the cook or nearby persons while cooking at sea. 15. List items carried in an offshore first aid kit. 16. Prepare and file a passage plan. 17. Describe three (3) watch-keeping systems and the advantages and disadvantages of each. 18. Describe alternate watch-keeping arrangements in the event crew members are incapacitated. 19. Describe the duties of the on-watch and off-watch crew. 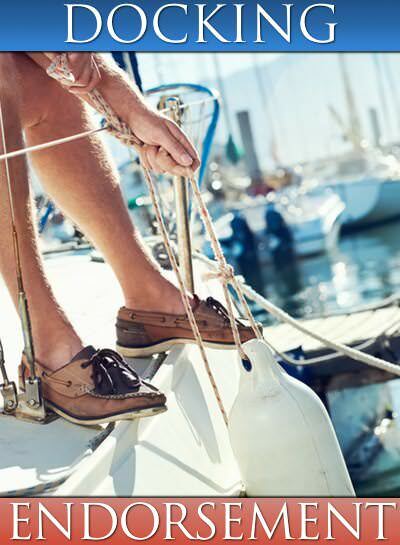 21.Set up a routine vessel cleaning schedule. 22. 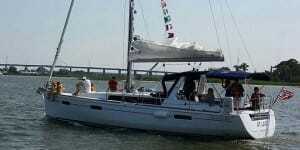 Describe how to rig a trailing man overboard (MOB) line with an alarm. 23. 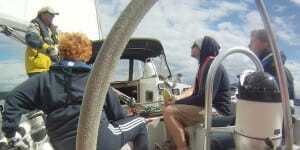 Describe an alternative method of alerting the crew to MOB situation. State other emergency situations when you should limit the use of this device. 24. Describe what actions should be taken when a MOB is not located on the first pass. 25. Describe how to organize the crew for a routine fire drill. 26. 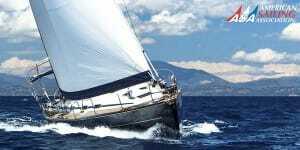 Describe possible methods of jury rigging a vessel in the event of dismasting and what course should then be assumed. 27. Describe proper actions to be taken after a vessel has been struck by lightning. 28. 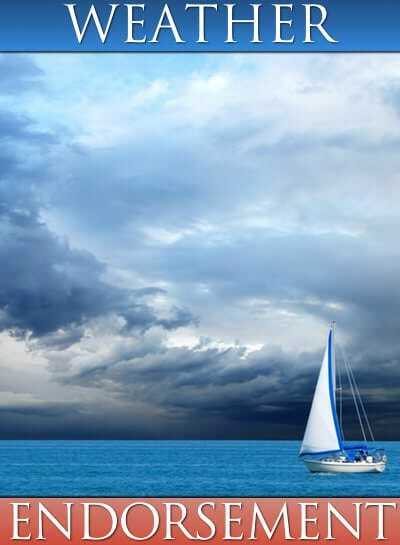 List essential survival items to be kept in a standby kit in the event the vessel must be abandoned offshore. 29. Describe additional useful survival and rescue items. 30. State the dangers that might be encountered in a small life raft at sea. 31. List safety equipment that should be carried in addition to Federally required items. 32. 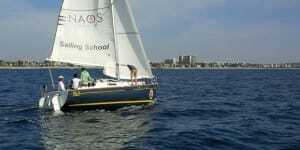 Describe, using diagrams as appropriate, the applicable rules for an offshore sailing vessel, as found in the USCG Navigation Rules and Regulations Handbook. 33. 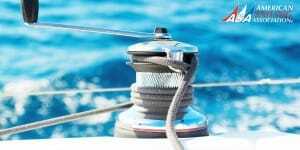 List the 16 International Distress Signals found in Rule 37 of the USCG Navigation Rules and Regulations Handbook. 34. 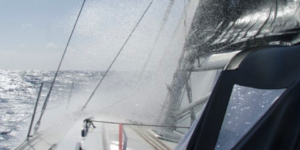 Act as skipper and crew on an offshore passage of no less than 72 hours and 100nm without touching land. 35. Obtain a celestial fix using a sun-run-sun or three (3) celestial bodies. 36. Obtain a celestial heading check. 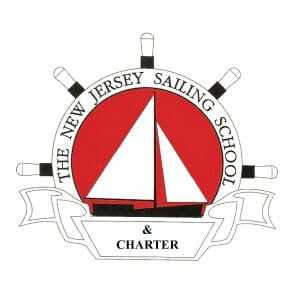 With some of the best sailing waters in New Jersey, NJSS offers the perfect learning environment. All our instructors are ASA certified and all love the sport and want our students to also love what they learn. 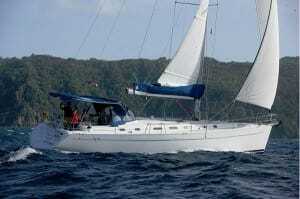 Rob Swain Sailing School is located in Tortola in the beautiful British Virgin Islands. 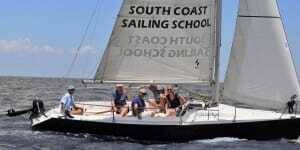 Founded 23 years ago by our lead instructor Rob Swain we pride ourselves in providing a complete experience. 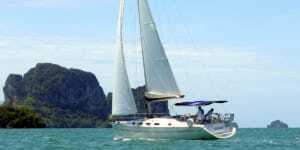 Whether you are learning to sail or wish to gain bareboat or coastal cruising certifications our ASA qualified instructors who are all experienced yachtsman and women will help you reach your goals. 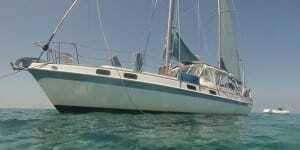 Based in the beautiful picturesque Soper’s Hole Marina, on Frenchmans Cay, Tortola Sailing and Sights is owned and run by sailors passionate about sharing their sailing knowledge with you. 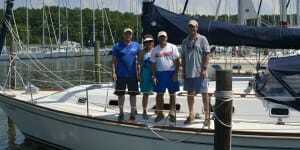 From complete beginners wanting to learn the ropes, to salty sailors who want to build miles, we welcome everyone.